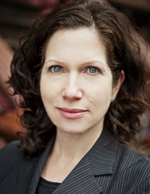 Award Winning Author and Journalist Amy Waldman to Visit SBAI! Next Thursday, SBAI and the Department of English will present author Amy Waldman with the Janet Heidinger Kafka Prize for Fiction for her first novel, The Submission. Waldman will give a reading from her winning novel and be available for a book signing after the event. An hors d’oeuvres reception will follow the reading. Copies of The Submission will be available to purchase. Join us Thursday October 4 at 5:00pm in the Interfaith Chapel, University of Rochester River Campus. The winner, unanimously selected by a panel of three reviewers from nearly 100 nominations, is The Submission, a first novel by Amy Waldman. Its title refers to the winning entry of an anonymously judged contest of architectural designs for the construction of a 9/11 memorial in New York city; the early revelation that the winner is an imaginative but stubborn secular Muslim-American architect named Mohammed Kahn places the judges’ panel at the epicenter of dynamic tension that ripples and reverberates throughout the city, state and nation. With taught but lyrical prose, the author captures the painful ambiguities that swirl in our cultural melting-pot seasoned with issues of fairness, politics, and stereotypes (both perceived and represented) as she embraces her rich and varied characters in an unpredictable but unforgettable story. Kathy McGowan, education and women’s studies librarian, lead the committee, with Platt, Professor of Biochemistry and Biology, and Katherine Mannheimer, Associate Professor of English. Among its many accolades, The Submission was named a New York Times Notable Book for 2011 and Esquire‘s Book of the Year in 2011. 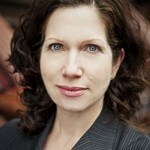 Waldman was a reporter for The New York Times for eight years, including three as co-chief of the New Delhi bureau. She was also a national correspondent for the Atlantic. Waldman graduated from Yale University and has been a fellow at the Radcliffe Institute for Advanced Study and at the American Academy in Berlin. The Susan B. Anthony Institute for Gender and Women’s Studies and the Department of English at the University of Rochester have awarded the Janet Heidinger Kafka Prize for fiction by an American woman since 1976. The idea for the prize came out of the personal grief of the friends and family of a fine young editor who was killed in an automobile accident just as her career was beginning to achieve its promise of excellence. She was 30 years old, and those who knew her believed she would do much to further the causes of literature and women. Her family, her friends, and her professional associates in the publishing industry created the endowment from which the prize is bestowed, in memory of Janet Heidinger Kafka and the literary standards and personal ideals for which she stood. This year marks the 36th anniversary of the $7,500 award. The award calls attention to the work of a promising but less established woman writer. Submissions come from publishing houses across the country, and past winners have included Anne Tyler, Ann Patchett, Ursula Le Guin, and Toni Morrison, each before achieving fame. This entry was posted in News, SBAI Events and tagged #amywaldman, #book, #english, #KafkaPrize, #novel, #prize, #womenwriters. Bookmark the permalink.